Tired of burnout, isolation and illness that the status quo model has offered us, we’ve adopted and are spearheading a new way of leading, and a new way of BEING as a modern 21st Century woman. On March 8, 2016 we came forward and penned a joint message as a call to action in the name of the changing tide of new paradigm feminine leadership. In our communities, we spoke of the need to ask ourselves difficult questions. 1. What do I really believe in? 2. What is my story and my core truth, and who can benefit from hearing it? 3. Where can I leverage my own safety and privilege in order to help others who may not have the same safety and privilege? 4. How can I make my voice be heard? 5. Who stories and struggle are unrecognized and how can I shine light on them? We challenged each other to look deeply at our lives and to find where we could join together, and leverage not only our individual gifts, but also our privilege to support one another. We also challenged ourselves to access the strength to claim our individualized gifts and find the courage to use our unique voices to catalyze global change for not only women, but for our collective future ~ our children and our children’s children. The ripples that have come from our joint blog and initial call to action have been extraordinary. Many challenging and potent questions have come up about how not to simply survive the current conditions and paradigms we are living within – but how to affect change that will make a real difference in our lives and the lives of those around us. These questions are so valuable because this change cannot come from one but from the collective. You and me together are feeling the deep soul calling — WE are the ones to make the change. Not only did the message resonate, but women all over the world across our three communities and beyond have become part of a deeper conversation around the “New Paradigm Feminine Leadership Model” — sharing the desire to reclaim our divine power and lead in our home, workplace and our community. 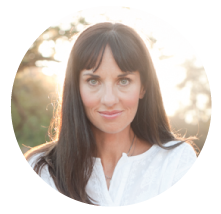 What is special and so important about this approach is the shared desire to lead from a new model based on the integration of the whole self, the whole woman – the inner, outer and higher self. This model is directly in contrast to the antiquated approach of one-dimensional leadership measured mainly by financial and professional success. The women resonating with this new paradigm are women of every stage, life-phase, cultural background, and life occupation. These are women of good times, hard times and real times. These women are our sisters, mothers, teachers, managers, executives, creatives and more. This is a collective – and the collective sees the need for change from a model based in individualism, competition and privilege to one of connection, collaboration and compassion. This burgeoning collective has the desire for change, and the belief that we can. This combination – seeing, desiring, and believing – create the exact conditions that predict the likelihood that change can actually occur. And we have every reason to believe that it can. And we believe that the time is now. Together, we venture to say that the “how” is right before our very eyes. The “how” is showing itself in the face of young women entrepreneurs like eco-designer “Maya Penn,” and in the mission and vision of companies like “Tom’s” shoes. The “how” is creating the key differentiators for both communities and businesses that will thrive in the new paradigm marketplace that demands products with PURPOSE, experiences of QUALITY, and lives of MEANING. The shared qualities in these paradigm-shifting platforms boil down to a new way of walking in the world. A new way of living that goes beyond the status quo. These qualities evoke a new way of creating that looks beyond the bottom line and speaks to our hearts, and inspires our souls. This new model addresses the missing factor in every great leadership framework. This new model fills in the missing pieces of the inherited “way of life” that has left us longing for joy, peace and connection. The path forward reintroduces the missing piece. And it ventures to say that this missing piece, in conjunction with the best practices of human performance and leadership, create a new holistic model that anyone, anywhere can begin to follow TODAY, regardless of their position, economic situation or resources. This “The Sacred CEO Leadership Model” provides a framework that returns us to a world that can reclaim both its meaning, as well as its magic. 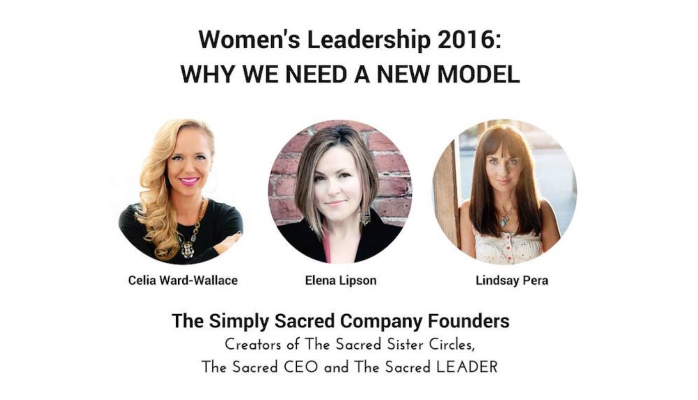 Built into the “Sacred CEO Leadership Model” is the missing piece – the “Feminine Factor” that when applied brings any practice, organization or leadership model into the context of the new paradigm shifts we are creating. This shift calls for leadership from within the circle, not from a pedestal. This is a paradigm where four of the C’s: Compassion, Courage, Collaboration, and Connection replace the competition, disconnect, isolation and zero-sum game we’ve grown accustomed to, but have just now been slowly breaking free of. We are rising up and rejecting the old frameworks that no longer fit and no longer serve us. We will no longer stand by as we are forced into a model that doesn’t fit our needs. Now is our time to lead our families, our livelihood, our communities and ourselves on our terms in our way. Together we are creating the container for the conversations to illuminate this new path. Together – we are moving beyond the broken model – and co-creating the model. Will you accept the challenge to become a leader in your home, your work and your community? Here is where to begin…ask yourself these questions? 1. How can I be more vulnerable and share my voice with the world? 2. What are my strengths where I thrive without trying and how can I spend more time sharing my gifts with others? 3. What stories am I holding that no longer fit and do not serve me? 4. How can I celebrate myself and all of the growth I have achieved so far on the journey? 5. Who in my community can I lift up and empower to take the next most aligned step towards their purpose? Our intention is for you to feel inspired and empowered to be a leader in bringing about this change! If you’re feeling fired up and with us we would be honored for you to share your thoughts in the comments below as well as share this with all who can benefit. Please join our free community today to help us create a new paradigm for women’s leadership in the world! Join our community here: www.thesacredceo.com.